The Choir meets on Fridays from 7- 8.30pm in the choir stalls. There is a junior section aged 7 years and upwards. The juniors are given free singing tuition and also free entry in RSCM music examinations AND dependent on experience they get paid for attendance and weddings. We are lucky to have a thriving senior Choir and it is expected that the older members have at least basic sight reading. 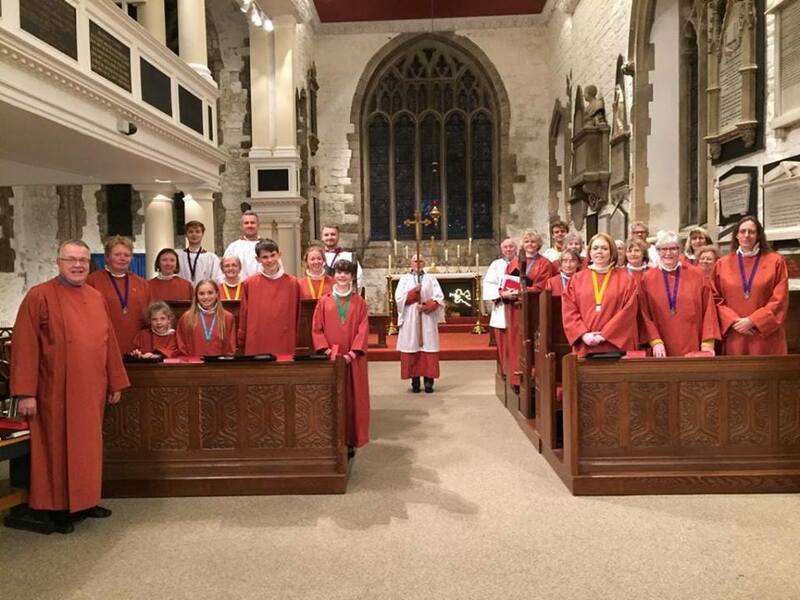 The choir has sung at a number of churches either for a joint choral services with their choir (e.g. All Saints, West Dulwich) or providing a choir to a church which does not normally have one (e.g. Holy Trinity, Millbrook, Southampton). They have also been involved in concerts with other local choirs, carol singing around the area and singing in local care homes. The choristers main responsibility is to lead the singing at the 9.15am service every Sunday (term time only for juniors) We also sing about 9 choral Evensongs a year in the Church.